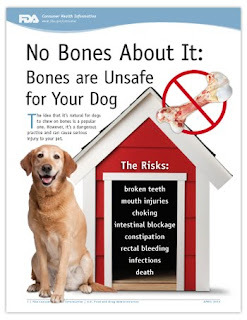 FDA: The idea that it’s natural for dogs to chew on bones is a popular one. However, it’s a dangerous practice and can cause serious injury to your pet. Paw Here to read 10 reasons why it’s a bad idea to give your dog a bone.